Beautiful, updated, fully stocked kitchen and sun room with lots of natural light. Separate dining area with enough space to seat 6-8 people. Master bedroom is located on one side of the house with a king sized bed and includes a spacious master bath with double sinks and walk in shower. The other side of the house has 2 bedrooms and another bathroom with a shower/bathtub. One bedroom has a queen bed and the other bedroom has a bunk bed with twin on top and full on bottom so perfect for the kids! All bedrooms have mounted flat screen t.v. 's and another t.v. in the living room. Off-street parking is available in the back of the house. Washer and dryer included with all supplies needed. The house does not have Central Air, but does have an A/C Window Unit in the Master Bedroom plus numerous fans and 2 ceiling fans. You will love the location which is very quiet, but within walking and biking distance to both CSU and Old Town Fort Collins. Lots of recreational activities, shopping and countless restaurants, bars, etc. Fenced backyard with nice deck, gas grill and patio table. Coffee pot with filters, coffee, creamer, & sugar provided. Coffee, creamer, sugar, salt and pepper, spices, tea, honey, oil, flour and sugar. Paper plates and picnic supplies. More than enough plates, cups, coffee cups, wine glasses, misc. cooking utensils available. Xeroscape, fully fenced back yard. Outside table and chairs. Adirondack chairs. This property was perfect! It was close to CSU, and great hiking. It was well taken care of and had everything we needed for our week in Colorado. This was our second stay at this property. The owners are great. The house was immaculate and very well provisioned. There are many really thoughtful extra touches that make a guest's stay delightful. We were there with a grandson, 3 1/2, and he loved his Mickey Mouse themed room and all the toys to play with. We love everything about this place and plan to keep coming back. We traveled from Texas for our daughter’s wedding. Stayed here a total of five nights. The owners went out of their way to make us feel welcomed and provided us with everything we needed. The kitchen was fully stocked, cabinets were full and water bottles in the refrigerator. We looked at hotels, but with our daughter staying with us a few nights before wedding, then our son joining us to stay three nights, this property was a much better choice. The bridesmaids had space to work to prepare for the wedding with the flower arrangements. We highly recommend this property when staying in Fort Collins. The owners were responsive to our questions during our stay, and kept in contact after to insure there were no problems. Great location, clean house with everything you need! Caring owners that do the little things for you that make the stay great. Highly recommend! The home was very clean and comfortable and close to everything. We enjoyed a weekend of CSU soccer and spending time with our 2 college students. The house is just as advertised and very comfortable for our weekend homecoming at CSU stay. Within close walking distance to downtown and CSU for all activities. The kitchen had everything we needed. The owners were extremely helpful. Thank you. Located in quiet and beautiful area of Old Town. 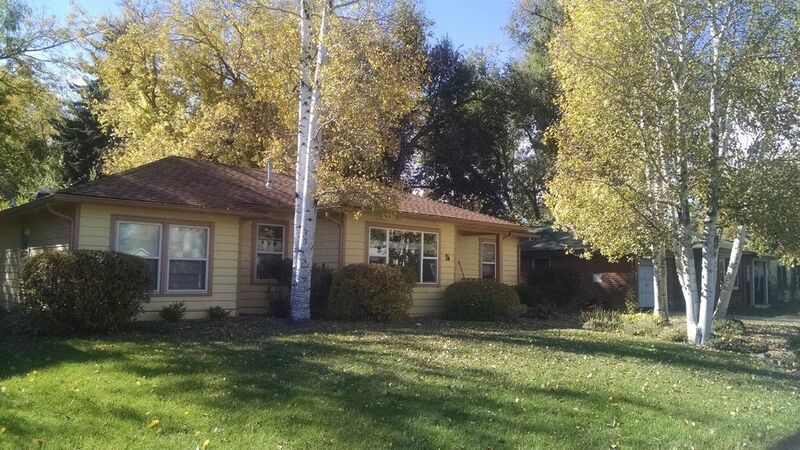 Walking distance to Colorado State University and downtown Fort Collins.